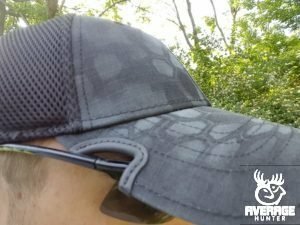 If you’re like me and actually form your cap, then you’ve experienced issues with wearing most sunglasses. 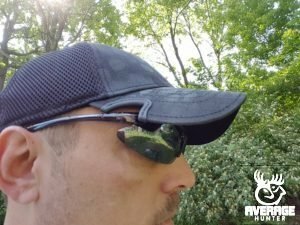 The sides of the bill always hit the glasses and you can never pull your cap all the way down. 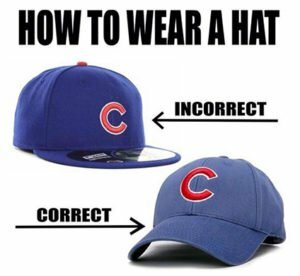 So then you have to either not wear sunglasses or you have to wear your cap high. Who wants to wear it that way. It needs to be rolled and low right? 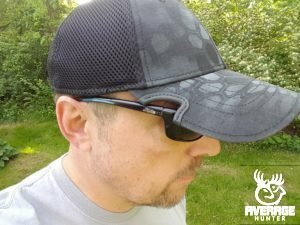 The innovators at Notch Gear have come up with a simple yet effective solution to this problem with sunglasses and caps. It’s quite simple actually. They “notched” out the bill were it almost always hits your glasses. Isn’t that the standard American solution to most problems? If it’s in the way, get rid of it. Notch Gear’s patented technology effectively eliminates the interference that commonly occurs between your hat and your sunglasses and it works with most wrap-around style sunglasses, shooting glasses and safety glasses. So, does it work? Sure does, in most cases. As you see in the pics below, I tried multiple types of glasses and the Notch worked one way or another. These glasses I tried may not have stuck out far enough to take full advantage of the Notch, but it did allow extra room for the glasses in the corners. 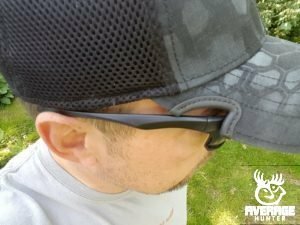 Personally I am not a fan of bigger style glasses, but the Notch did work well for my style of shades. The actual Notch is only half the part I really liked about this review. That NOTCH CLASSIC TYPHON cap itself is just awesome. This is a stretch fit style cap made for Notch Gear using the very cool Kryptek Typhon pattern. This cap fits my large mellon perfectly and I just love to wear it. The height and structure is just how I like a cap. Watch the video below and learn all about the Notch design.